These jeans from Kasil are absolutely amazing. 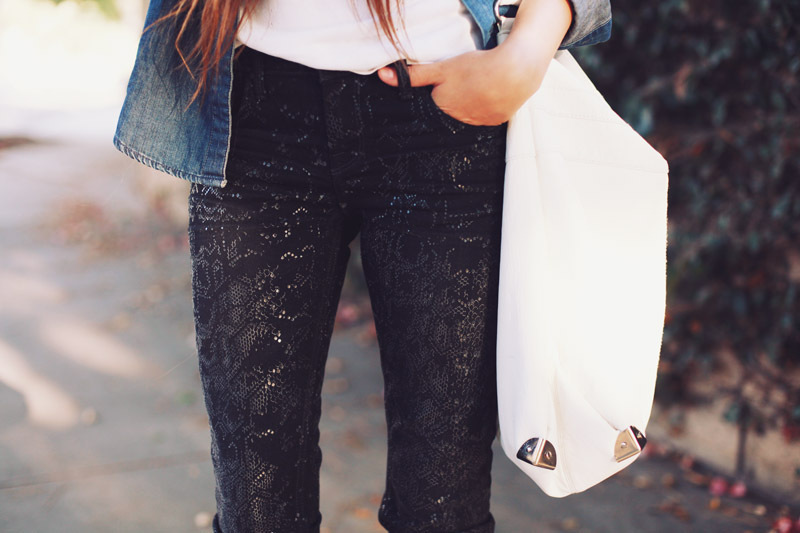 They're as easy to style as plain black jeans, but the snake print makes it that much more chic. I picked up this old H&M bag at a thrift store for 2 bucks. I had old storage bins with cool metal corners.. basically I ripped those off and hot glued them to the bag.. turned out pretty cool! Hope you all are having a great summer. Big news to share with you guys soon, so stay tuned!